How many more buttons do you need to extract data from the Australian yellowpages and save to Excel? The one-page mode in YPR is absolutely free. 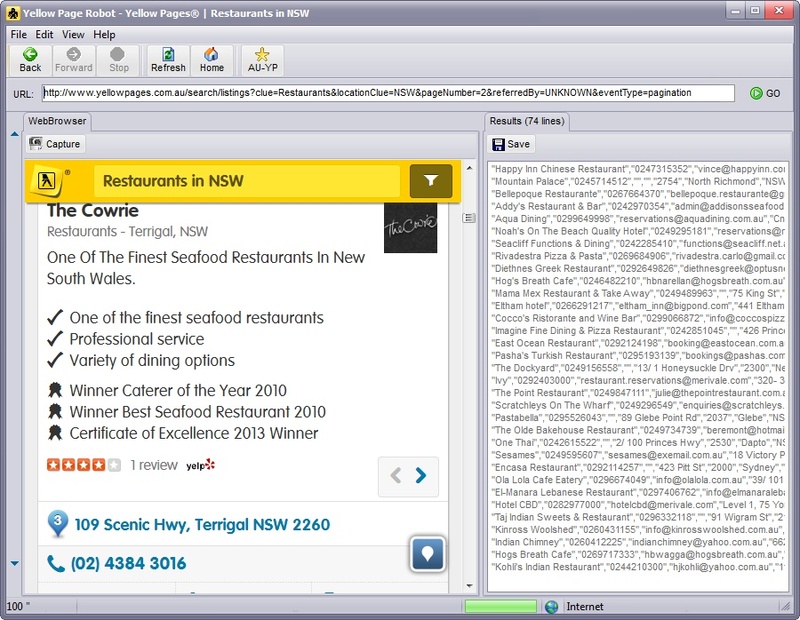 Run a query in the browser (left pane), press CAPTURE, and the yellowpages data will be collected in the right pane. Press SAVE to record everything in a format usable with Excel or any database. 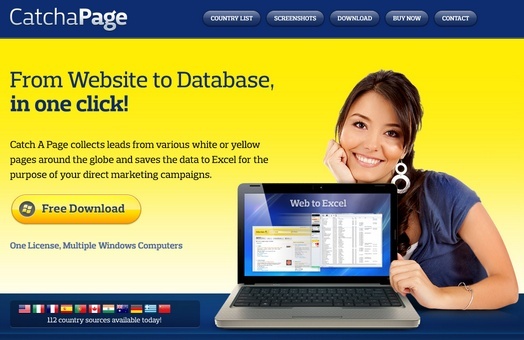 To save several pages, and thousands of precious leads (if need be), you'll need the Pro Version. Click here to purchase the Pro Version. Do you need more countries? Do you need more yellow pages from around the world?